Sándor Orbán, the director of the South East European Network for Professionalisation of Media, reports for Index on Censorship on the raft of new laws passed by the ruling Fidesz party and the threat to democracy and media freedom. The new constitution put an end to liberal democracy in Hungary. It was pushed through the parliament without any public discussion by a populist prime minister, who used his party’s super-majority to rush the legislation, passed in only few weeks last spring. Hundreds of controversial new laws — including the ones on media — have been passed since the Hungarian Civic Union, Fidesz, came to power in 2010. Their election has led to the elimination of many of the checks and balances in the democratic system. See the full post on Index at this link. 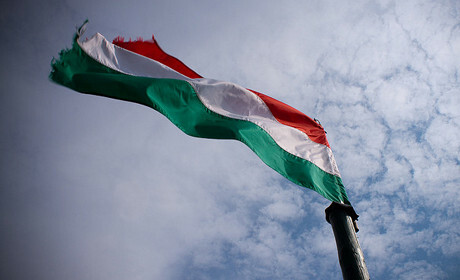 See Journalism.co.uk’s full coverage of Hungary’s controversial media law reform at this link. This entry was posted in Editors' pick, Politics, Press freedom and ethics and tagged hungary media law, Index on Censorship, press freedom on January 6, 2012 by Joel Gunter. This entry was posted in About us, Traffic and tagged most-read stories on Journalism.co.uk on December 16, 2011 by Joel Gunter. The Pulitzer Prize board has announced some changes to the awards, taking its submissions process online and revising the breaking news category to reflect real-time reporting. The changes to the breaking news category suggest that coverage on social networks and liveblogs may be considered for the prestigious prize from 2012. For a distinguished example of local reporting of breaking news that, as quickly as possible, captures events accurately as they occur, and, as times passes, illuminates, provides context and expands upon the initial coverage. The board added that it would be “disappointing if an event occurred at 8am and the first item in an entry was drawn from the next day’s newspaper”. Last year’s Pulitzers saw no award given in the breaking news category for the first time. There were three nominations – the Chicago Tribune for coverage of the deaths of two firefighters, the Miami Herald and El Nuevo Herald for their coverage of the earthquake in Haiti, and the Tennessean, Nashville, for coverage of flood in the state – but no winner. Winners are required to gain a majority vote on the 16-strong board. The other major change is that applicants will also now be able to make their full submission online. “The new entry system ends the submission of entries on paper, typically in the form of a scrapbook, a practice dating to the start of the prizes 95 years ago. All entry material, ranging from stories to photographs, graphics and video, must now be submitted in a digital form through a special Pulitzer entry site,” the release from the Prize said. Last December Pulitzer Prize rules changed to include multimedia journalism, allowing entries to be submitted as text reporting, videos, databases, multimedia, interactive presentations or any combination of those formats. See the full release on the Pulitzer Prize site. Nieman Journalism Lab: Could Pulitzer changes mean an award for live tweeting? This entry was posted in Awards, Online Journalism, Social media and blogging and tagged Awards, Pulitzer Prize on December 1, 2011 by Joel Gunter. One year on from the brutal beating that left Oleg Kashin with a broken hand, leg, skull, and jawbones, Foreign Policy magazine’s Julia Ioffe talks to the Moscow-based journalist about the failure of the authorities to bring anyone to justice. Given the volume of the outcry and the apparent sincerity and generosity of the official response, there was, one year ago, some faint reason to hope that this case might be solved. Kashin, after all, was a mainstream, well-connected figure. He was no Anna Politkovskaya, killed on Putin’s birthday in 2006, whose work was so obviously dangerous (Kashin compared her to a suicide bomber). Nor was he like the other journalists and human rights activists whose work in the Caucasus has brought Caucasus-style revenge on their heads. He was no Paul Klebnikov, gunned down in 2004, or Mikhail Beketov, assaulted and maimed in November 2008, who went against powerful financial interests. Kashin wrote about youth movements. Yet despite the seeming harmlessness of his beat, despite his luck that night, despite the big names and big money that immediately kicked into action, despite the wide shock and wide media coverage — even state news lead with his beating the next day — despite all these advantages that Politkovskaya and Beketov and Klebnikov and Chervochkin and dozens like them didn’t have, in the year since the first photographers arrived to take pictures of the blood-spattered ground in Kashin’s courtyard, Kashin’s case has gone cold, exactly like theirs. Yesterday was the first Day to End Impunity, to mark the second anniversary of the “Maguindanao Massacre” in the Philippines. This entry was posted in Press freedom and ethics and tagged kommersant, Oleg Kashin, Russia on November 24, 2011 by Joel Gunter. Neville Thurlbeck, the former chief reporter at the News of the World, has penned a first person account of his part in the phone-hacking saga. After years of sitting silently in the wings while a bloody Jacobean revenge tragedy played out on the stage, you probably wonder why I have finally decided to cast myself in a speaking role and stroll briefly onto the stage that bears the corpse of my former newspaper. As he did in his short statement to the cameras last week, Thurlbeck backs the assertion by News International executives that the evidence was kept from them, claiming there was a “pattern of withholding information”. Well worth a read, do so on Press Gazette here. This entry was posted in Editors' pick, Newspapers, Press freedom and ethics and tagged james murcdoch, neville thurlbeck, News International, News of the World, phone hacking on November 16, 2011 by Joel Gunter. Wired.com has made what looks like a canny move in deciding to license its own images under creative commons in return for a mention and a link. The technology site doesn’t currently sell the images, so the commons licence will cost it nothing but will probably generate some useful publicity today, like this, plus traffic and SEO in the long run. See 50 images made available immediately here. Wired hasn’t stipulated where the link and mention have to go, so presumably it’s fine to put it either right next to the image or bury it at the bottom of your blog post. The licence also allows users to edit images, as I have with the one above. Just a simple crop here, but mashups and other edits are also fine. The move also raises a long-standing lack of clarity over the CC “non-commercial” licence. When we use CC images on Journalism.co.uk, we usually steer clear of images marked “not for commercial use” because we carry ads on the site and the site is a profitable entity. But the distinction isn’t as clear cut as that according to some. 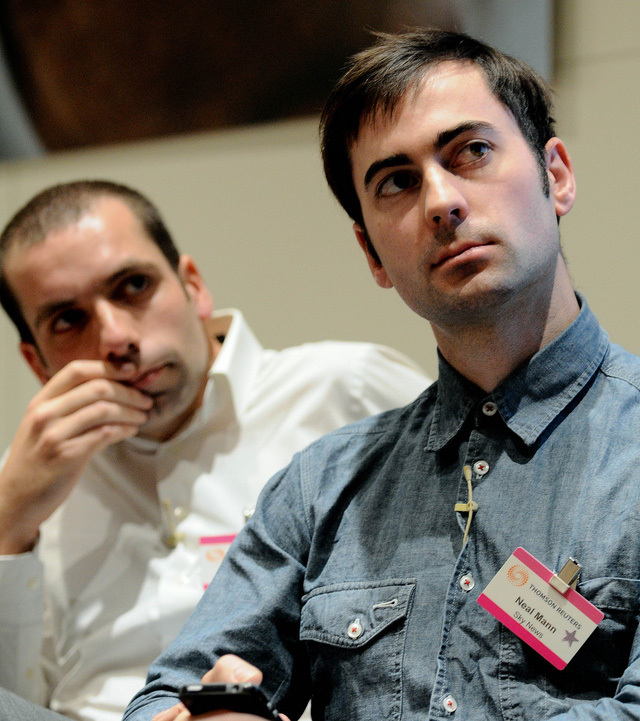 Nieman Journalism Lab’s Joshua Benton has an in-depth post about the CC issue, read it here. This entry was posted in Online Journalism, Photography, PR, Social media and blogging and tagged creative commons, Photography, wired on November 15, 2011 by Joel Gunter. Neville Thurlbeck, the former News of the World chief reporter who was the intended recipient of the so-called “for Neville” email, has reinforced the accusation of “wilful blindness” levelled against News International executives by MPs on the culture, media and sport select committee. In a short statement to camera last night (below), Thurlbeck said executives “refused to handle, see, or listen to” his evidence. Thurlbeck added, impressively, that for the past two years he had been “like a magnet for the iron filings of suspicion”. Credit to Roy Greenslade, who has already posted the video on his blog using that quote. It really is the stand-out soundbite in Thurlbeck’s short statement. This entry was posted in Editors' pick, Politics, Press freedom and ethics on November 11, 2011 by Joel Gunter. One of the most high-profile US media bloggers, Jim Romenesko, has resigned his post at media standards non-profit Poynter after questions were raised about his use of verbatim quotes. Erika Fry, an assistant editor at the Columbia Journalism Review, contacted Poynter’s Julie Moos to point out that Romenesko was consistently using passages of text verbatim from pieces he was writing about without using quotation marks. 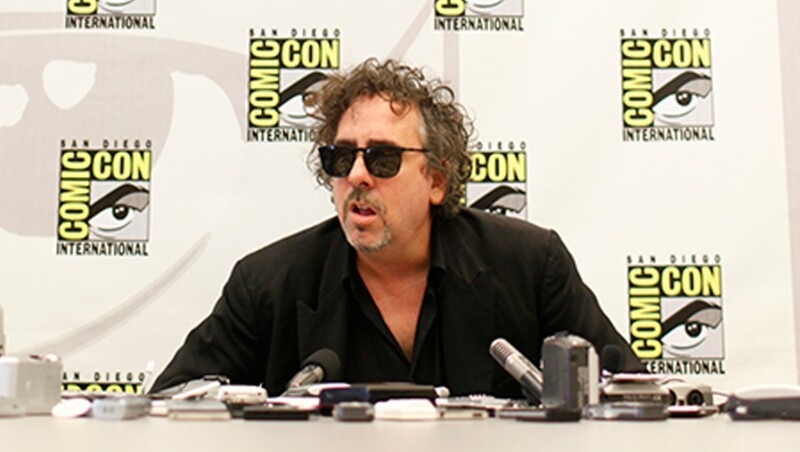 It should be made clear that he was prominently linking to the source material, but Moos said that this posed the risk that the words “may appear to belong to Jim when they in fact belong to another”. 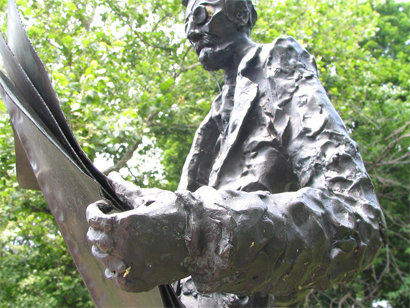 This style represents Jim’s deliberate choice to be transparent about the information’s origins while using the source’s own words to represent his or her work. If only for quotation marks, it would be exactly right. Without those quotation marks, it is incomplete and inconsistent with our publishing practices and standards on Poynter.org. Romenesko has been writing for Poynter for 12 years and – according to Moos – the practice has been “extensive”, with spot checks going back to 2005 showing “multiple examples”. 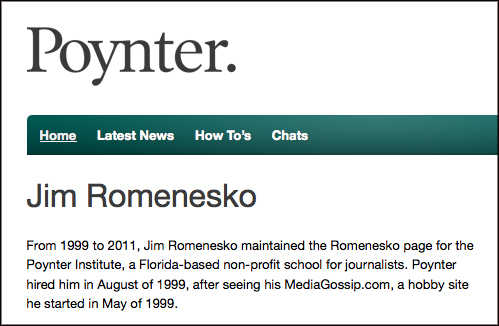 Part of the problem was that Romenesko was allowed to publish his posts straight to the Poynter website without being subbed. He was the only staffer to be allowed to do so, and although other editors at Poynter read his work and the original pieces, Moos said, none noticed the duplication. Romenesko’s initial offer of his resignation, after being contacted by Moos about the practice, was refused, but a subsequent offer has now clearly been accepted. Moos noted in her post that some may find Romenesko’s practice “entirely acceptable and disagree that it is unclear or incomplete”, while some may find it “abhorrent and a journalistic sin”. What do you think? Let us know on Twitter @journalismnews or in the comments below, or by email to joel at journalism.co.uk. This entry was posted in Online Journalism, Press freedom and ethics, Social media and blogging and tagged blogging, jim romanesko, poynter, romanesko, Standards on November 11, 2011 by Joel Gunter. This coming 23 November will be the second anniversary of the 2009 Maguindanao Massacre in the Phillippines, in which 34 journalists were murdered during election related violence in the country. Last year, on the first anniversary, there was a “global day of action” to commemorate the killings. This year, the second anniversary will also be the inaugural Day to End Impunity, organised by the International Freedom of Expression Exchange. Index on Censorship is marking the event by revealing on each of the 23 days of November leading up to it the story of a journalist, writer or free expression advocate who was killed in the line of duty and whose case remains unsolved. 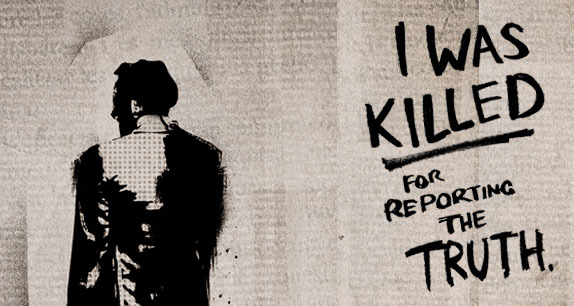 Visit Index’s Take Action to End Impunity site at this link. This entry was posted in Politics, Press freedom and ethics and tagged day to end impunity, ifex, Index on Censorship, maguindanao massacre, phillippines, press freedom on November 9, 2011 by Joel Gunter.